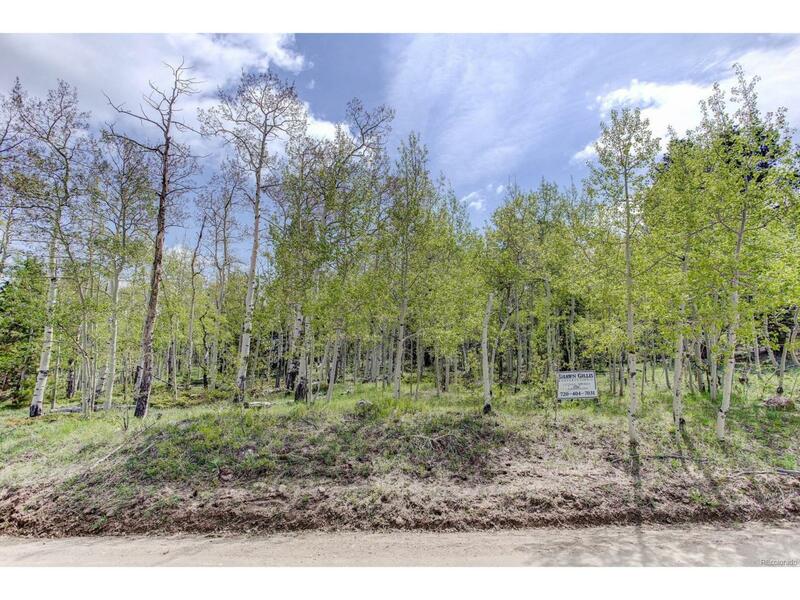 Build your dream home on this sun drenched lot that is loaded with Aspen trees, (lot 39). Spectacular views possible from across the street depending on type of construction. Gilpin County Rec center just down the street, Golden Gate Canyon State Park just down the road, enjoy fishing, hiking and camping.Due to being vacant land, there is no address... Directions from Golden Gate Canyon Rd, go south on Norton Drive, turn right on Rangeview Dr, stay on Rangview Dr, until it merges slightly to the left onto Chalet Dr, continue on Chalet Dr (approximately 2 city blocks) Property is directly across from the property address of 313 Chalet Dr, Coldwell Banker sign there and a builder sign as Seller is a builder, but no requirement to use him.